Exquisitely bound by Sangorski & Sutcliffe, with frontispiece portrait of Charles Lamb and a contemporary Tiffany & Co. engraved bookplate of Cecil and Adelaide North. In two parts, with an introduction and notes by George Woodberry. A bizarre, yet fascinating ‘copycat’ take on the success of Dickens’ yuletide publications, although denied in Pardon’s introduction, together with a new Christmas tale and other sketches previously unpublished. With wonderful four hand-coloured engravings and and ten black and white woodcut vignettes by artist T. H. Nicholson. The path of Duty was the way to glory’ - Tennyson. The last in Samuel Smiles’ wise and popular ‘Self-Help’ series, in which ‘the reader will find, in the following pages, numerous examples given of thee best and bravest men and women in the career of well-doing’. 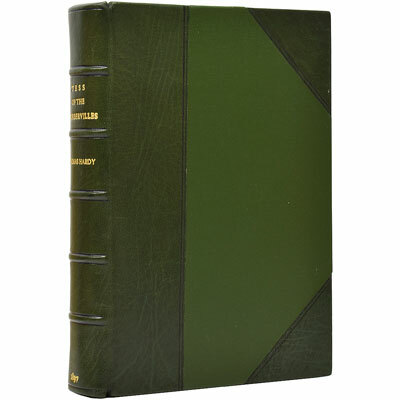 A handsomely bound Gulliver's Travels, the first edition to contain illustrations by Edward Bawden.